Before taking your motorcycle out for a ride, check the tires to ensure they are in good shape. This should still be done even if the weight was off of your motorcycle’s tires while the bike was not being used. Start by visually inspecting them to look for flat spots, punctures, bulges, or cracks. Even if everything looks normal, check the air pressure to determine if the tires need to be inflated. The brakes will also need to be inspected and tested before motorcycle season. If yourbrake pads were beginning to wear down towards the end of the last motorcycle season, now is the time to replace them. If you don’t know how to tell if the brake pads are in good condition just by looking at them, hop on the bike instead. Test the front and back brakes separately. If you hear a high-pitched squeal or scraping noise, this indicates the brakes need to be checked by a professional. If you haven’t used your motorcycle all winter, it’s possible that it won’t start right away. Don’t panic-it may be possible to fix this problem without calling for help. Your instinct may be to reach for jumper cables, but sending a sudden shock to a battery that has not been used in months could shorten its life span. Instead, remove the battery and charge it overnight before trying to start the motorcycle again. There are a number of fluids that should be checked before the motorcycle is taken out on the road. These could including the brake fluid, oil, and hydraulic fluid. Besides checking the amount of each of these fluids, motorcyclists should also pay attention to the color and consistency of them. If the color or consistency of a fluid looks different than usual, the fluid will need to be replaced. Many motorcyclists know to inspect their bikes before motorcycle season begins, but they often forget to inspect their safety gear. Carefully inspect all of your safety gear to look for signs of damage. Be sure to also try the safety gear on to make sure that it still fits comfortably. You may need to purchase new gear if you’ve lost or gained weight or if the fabric has stretched out due to normal wear and tear. Motorcycle season isn’t quite here yet, so you still have plenty of time to find new gear if necessary. It never hurts to take a refresher course in the weeks leading up to motorcycle season. There are many different places that offer courses, but most riders prefer the classes offered by the Motorcycle Safety Foundation (MSF). The MSF offers both online and in-person courses that are designed for riders of all skill levels. Consider enrolling in one of these courses so you can ensure you are mentally and physically ready to ride all season long. 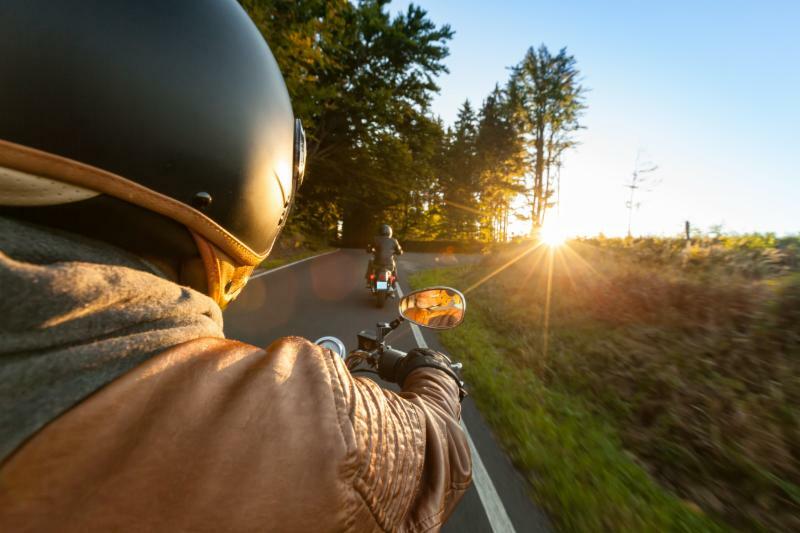 If you are injured in a motorcycle accident this riding season, contact us as soon as possible. Our experienced personal injury attorneys will fight tirelessly to recover compensation for your injuries. Schedule a free consultation with attorney George Tait at Utah Bike Law by calling 801-487-6454 or visiting us online today.